A poison pill is a tactic designed to repel would-be suitors. The term comes from the world of espionage. Agents are supposed to bite a pill of cyanide rather than permit capture. Presumably, this prevents enemy interrogators from learning important secrets. In the equally colorful world of corporate finance, a poison pill is a financial device designed to make it impossible for a firm to be acquired without management's con-sent—unless the buyer is willing to commit financial suicide. SRPs differ quite a bit in detail from company to company; we will describe a kind of generic approach here. 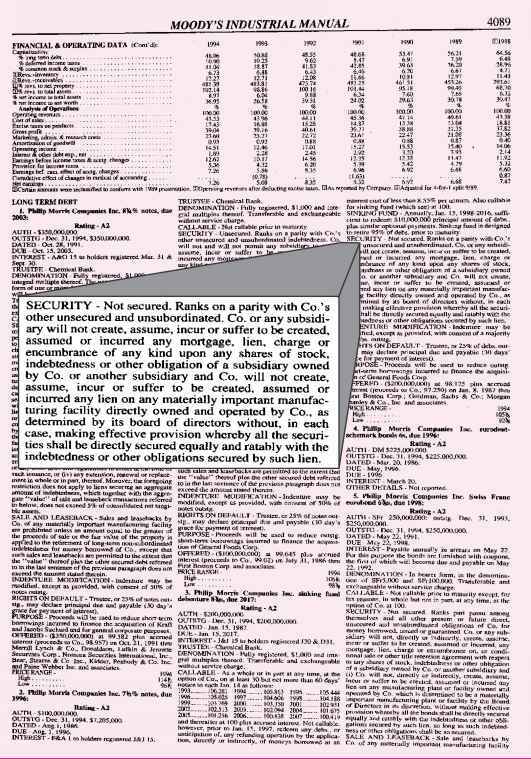 In general, when a company adopts an SRP, it distributes share rights to its existing stockholders.9 These rights allow shareholders to buy shares of stock (or preferred stock) at some fixed price. The rights issued with an SRP have a number of unusual features. First, the exercise, or subscription, price on the right is usually set high enough so that the rights are well out of the money, meaning that the purchase price is much higher than the current stock price. The rights will often be good for 10 years, and the purchase, or exercise, price is usually a reasonable estimate of what the stock will be worth at the end of that time. 8Contel's SRP appears to have achieved its purpose. In the summer of 1990, Contel management agreed to a friendly merger with GTE Corporation. 9We discussed ordinary share rights in Chapter 16.